South Queensferry, United Kingdom. 1 December, 2017. 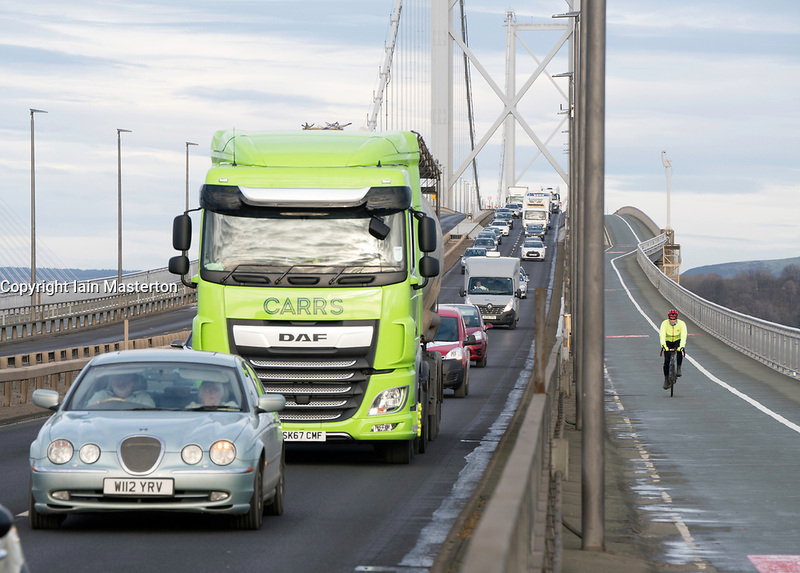 Southbound carriageway of new Queensferry Bridge is closed to allow emergency repairs to the carriageway. Southbound traffic from Fife is being diverted over the adjacent Forth Road Bridge, shown here, which has been opened temporarily to traffic. Remedial snagging work to the Queensferry Bridge is expected to take 10 months.